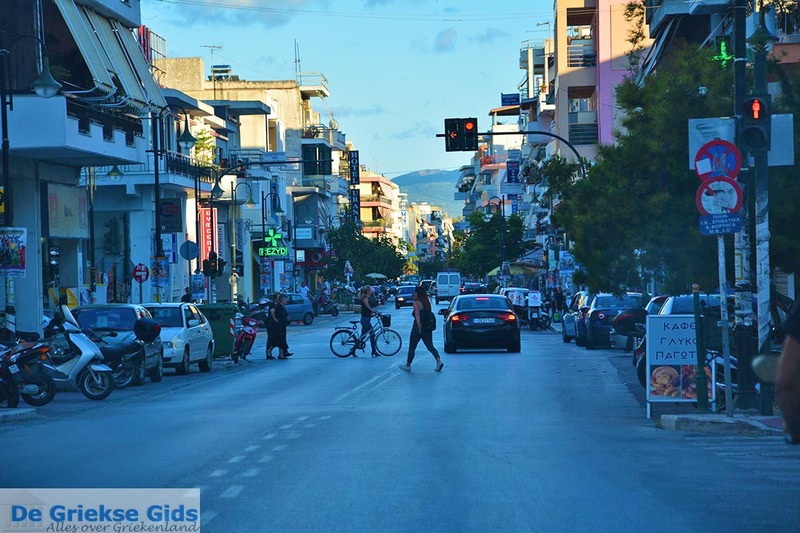 Preveza town. 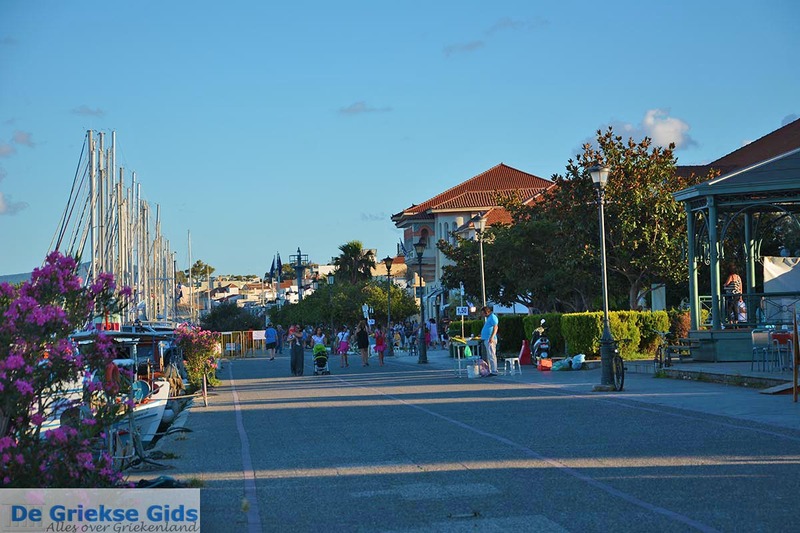 Preveza town is the name of the capital of the homonymous department in the Epirus district. 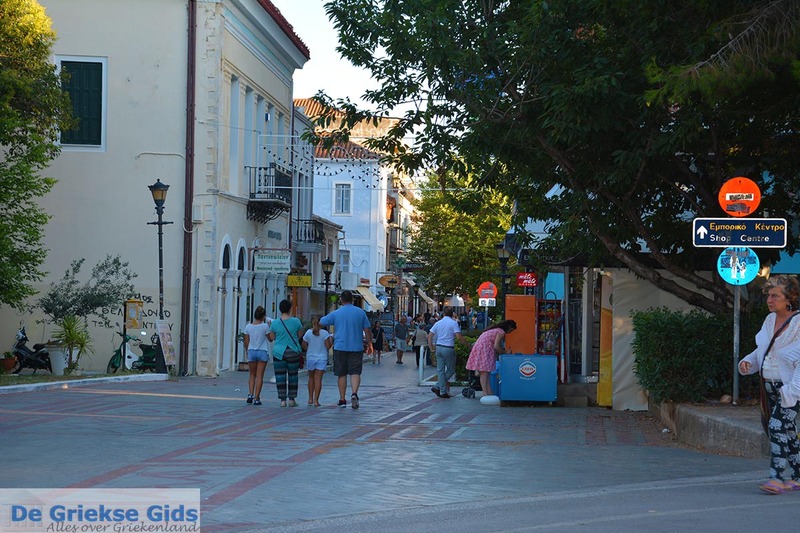 It is a traditional city with narrow streets and nice picturesque buildings. Everywhere there are cozy restaurants and cafés. 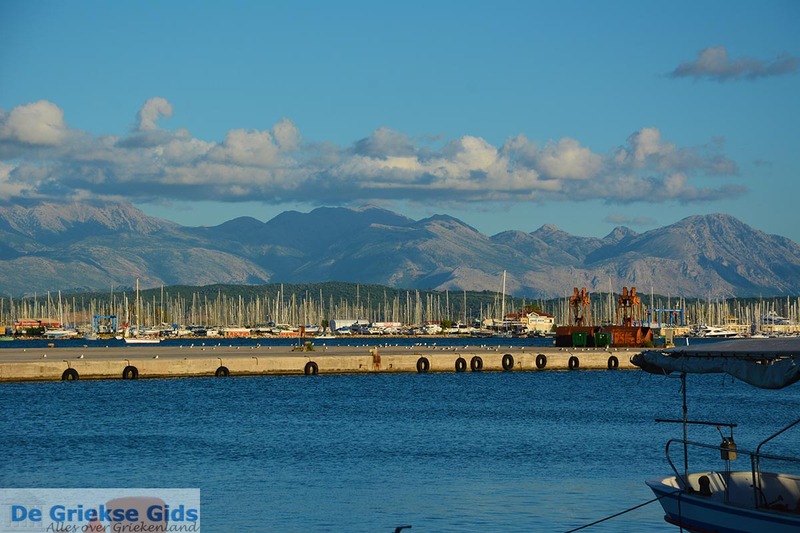 There is a port and a large marina. 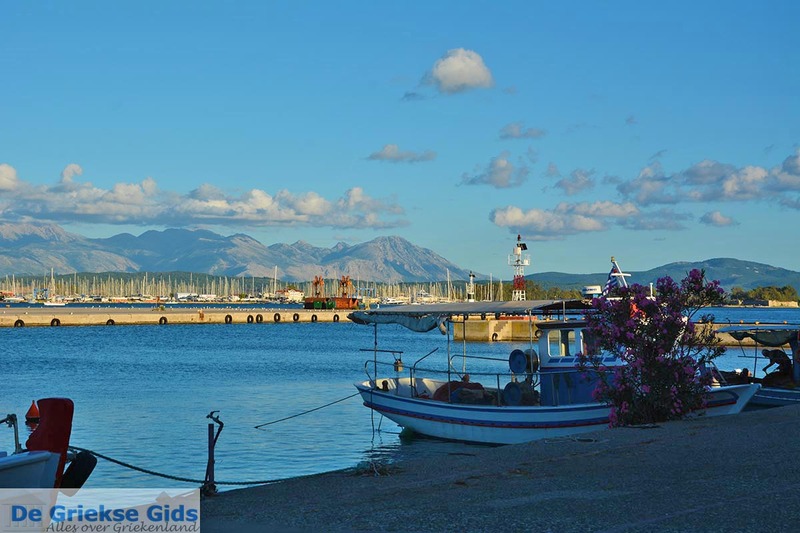 The city is located at the entrance of the Amvrakikos Gulf, just opposite Aktion, where the airport is located. 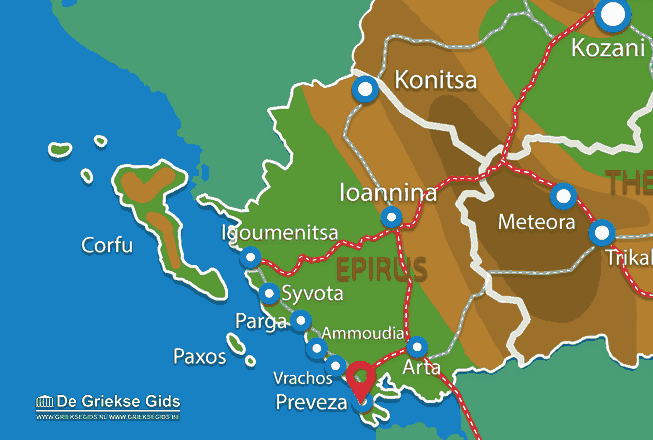 In Preveza town live about 20,000 inhabitants.In the year 31 BC found in the sea at Preveza the Battle of Actium (Aktion). The Battle of Aktion took place when the fleet of Cleopatra fought against the fleet of August Octavianus. Cleopatra lost the battle and the remaining ships were forced back to Egypt. 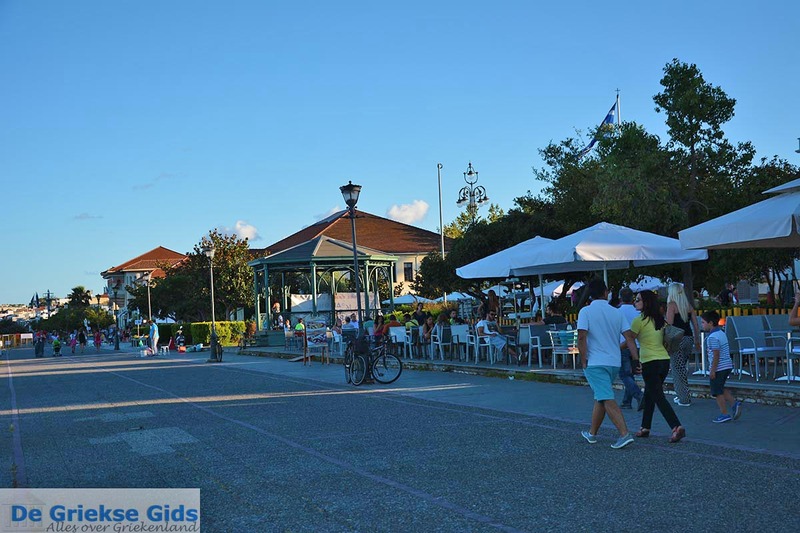 Important tourist attractions in Preveza town are Nicopolis and Nekromanteio. 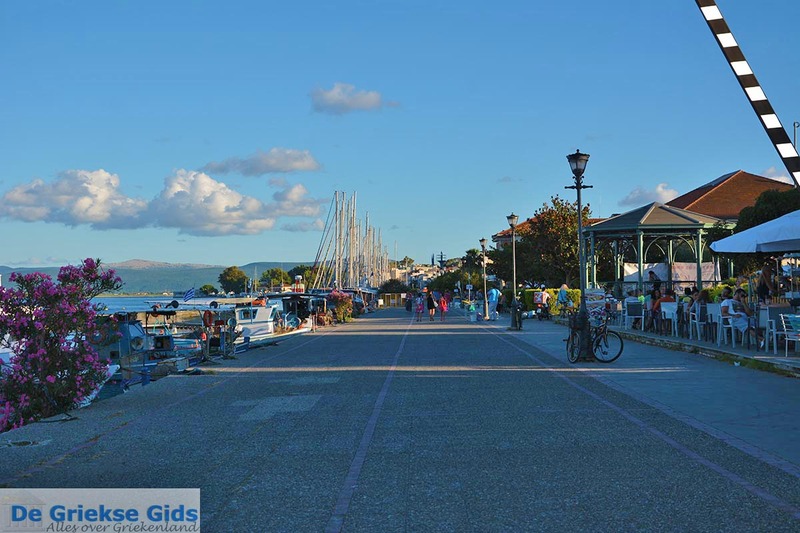 Nicopolis was founded by the Roman Emperor Augustus Octavianus in the year 31 BC and is the largest archaeological excavation in Greece. 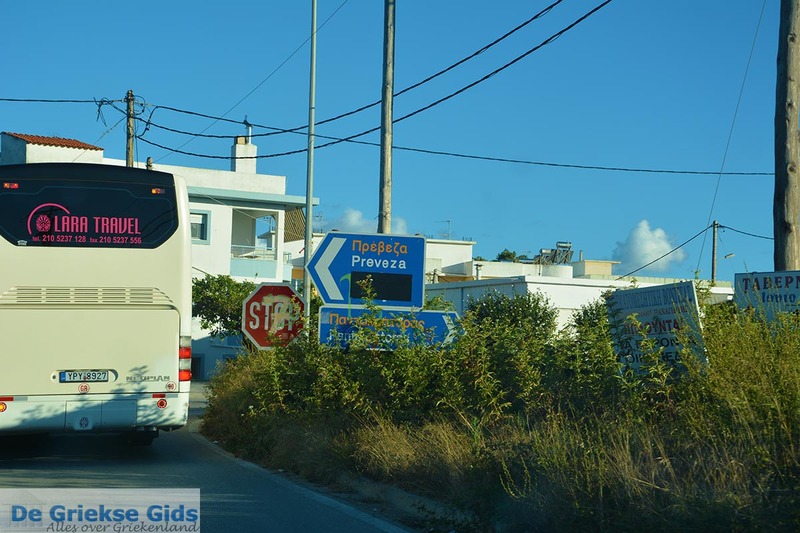 The excavations are just outside Preveza, ten minutes by car. Here is also a very nice museum located. The Nekromanteion, the 'Oracle of the dead', was an ancient Greek temple dedicated to Hades, the God of the Underworld. 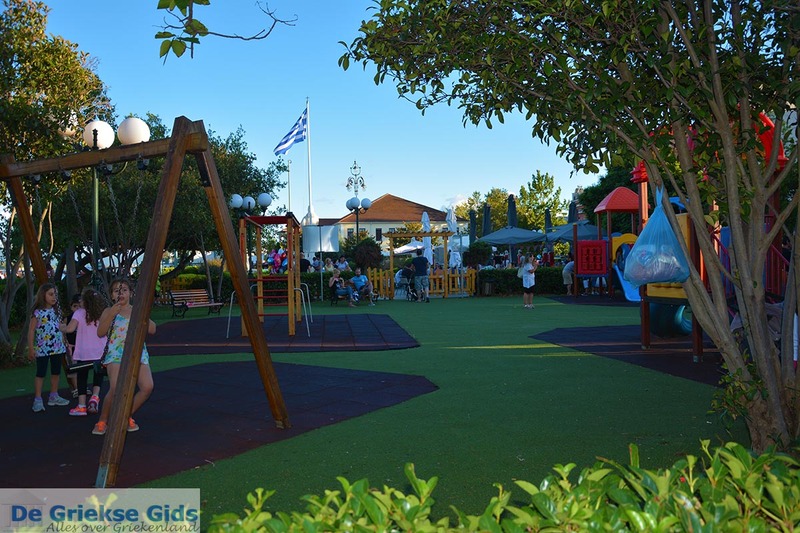 According to Greek mythology, this temple was on a hill on the banks of the river Acheron. From here the deceased would enter the dead kingdom and at this point the living could come into contact with the dead. You can visit the Nekromanteion at the village of Mesopotamos. 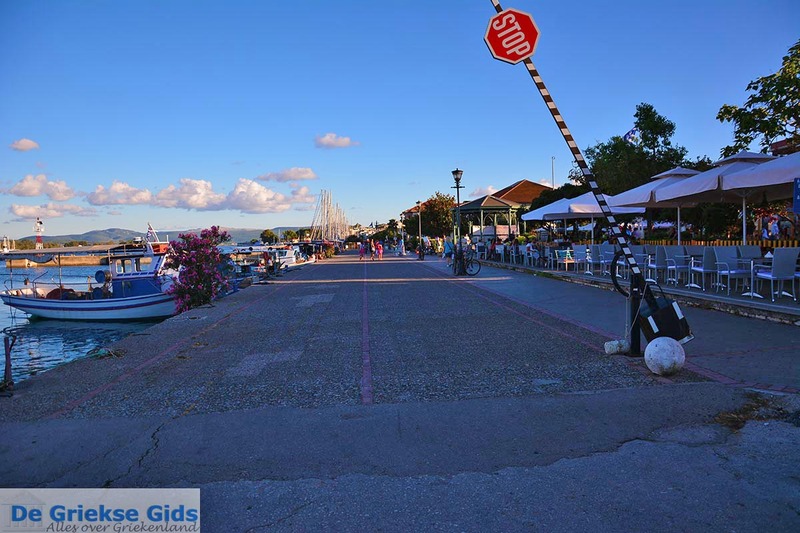 Preveza: Where on the map is Preveza Town located?